Associate Professor Graham Lee from Brisbane, Australia, is one of a few specialists who have completed both corneal & external diseases (Moorfields Eye Hospital, London) and glaucoma fellowships (Birmingham and Midlands Eye Hospital, Birmingham). He works in private and public clinics including Mater and the Queensland Childrens Hospitals. In these positions, he has been involved with the selection and training of Ophthalmology registrars and previously held the position of Director of Qualifications & Education in Queensland, being recognised as a trainer of excellence. Clinical research on the anterior eye and glaucoma is a passion, having published more than 100 peer-reviewed publications in international journals and book chapters in major texts. He has been the recipient of national and international awards, including the Australasian Cataract & Refractive Society Film Festival twice and World Glaucoma Congress Film Festival in Vancouver. He has presented more than 200 lectures worldwide and has a special interest in developing countries including Cambodia, Laos, Vietnam and Nepal. 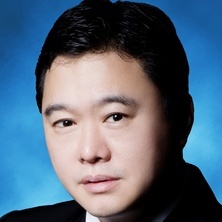 He has co-founded a website https://iop.vision to promote high quality teaching of ophthalmology. Fraenkel, Alison, Lee, Lawrence R. and Lee, Graham A. (2017) Managing corneal foreign bodies in office-based general practice. Australian Family Physician, 46 3: 89-93. Can augmented trabeculectomies cause iatrogenic melanoma? Fong, Anthony and Lee, Graham (2009) Reducing vision loss in chronic eye disease. Australian Family Physician, 38 10: 774-779. Gilchrist, Hannah and Lee, Graham (2009) Management of chalazia in general practice. Australian Family Physician, 38 5: 311-314. Cronin, B., Todd, B. and Lee, G. (2007) The red eye in contact lens wearers: A high risk presentation. Australian Family Physician, 36 10: 831-832. Hsing, Y. Eve and Lee, Graham (2011). Retropupillary iris claw IOL for aphakia. In: Special Issue: 43rd Annual Scientific Congress of The Royal Australian and New Zealand College of Ophthalmologists. 43rd Annual Scientific Congress of The Royal Australian and New Zealand College of Ophthalmologists, Canberra, Australia, (53-53). 19-22 November 2011.